With the Greater Manchester HMO market being somewhat saturated these days, investors are increasingly looking for alternatives. 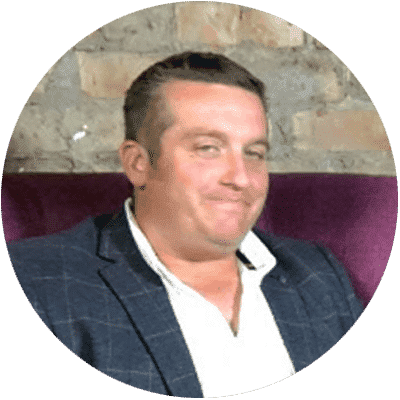 Today Dale Wild talks about how the focus of his company, Pegasus Property Investments, is turning towards micro-flats and new forms of accommodation particularly for LHA tenants for whom a lack of one bedroom houses means very long waiting lists. Amy: So what’s the main focus of your business, Dale? I know you’ve got a couple of different businesses. Are you focusing more on the investment side, the HMO side or the furniture side? Dale: On the furniture side I feel as though I’ve controlled it enough to let the management team, we’ve now got in place, take over it. The products are right, the price point’s right. We know where they need to be. So, it’s fairly simple now. I’m concentrating most of my efforts, at the minute, on finding more JV partners to work with, in and around Oldham. There’s a lot of old buildings in Oldham that need regeneration, that need bringing back to life. Amy: Oldham’s a real hotspot at the moment, isn’t it? I’ve just written an article for the site about Greater Manchester and its different regions. I know you work heavily in Oldham and you’ve got some fantastic projects in Oldham. It’s really popular at the moment for many reasons. Dale: Oldham is popular because you’ve got the low house prices and the rents are pretty good as well. They’re obviously not the best because of where it is but they’re decent and the yields are a good return. We’re now staying away from – apart from the pub I’ve spoken about earlier – we’re staying away from HMOs. We’re going into the, possibly, micro-flats. We’re quite excited to try and do something with container living. We keep exploring that. Whether they’ll let us do it or not or whether there’s any long-term future to it. We’re at the early stages. But something completely different. Not quite a full-sized flat but sort of the hybrid in between. We feel there’s a huge market for. That’ll be aimed at the LHA market because, in Oldham, there’s always a huge, huge waiting list for people that are eligible for a one bedroom house but there’s just none around. So, we’re going to try and fill that gap if we can. Amy: Fantastic and I will definitely talk to you about that because I work on the social side of property. Amy: I would love to talk to you about that project. I think this is a really hot topic at the moment and I’ve just done an interview this morning with an architect and we were talking about prefabs and new construction and tiny homes and co-living and there is a real shift of how people are living and how they want to live. And, I think, investors such as yourself, you’re seeing into the future and you’re catering for what the market really means. Dale: Yeah, definitely so. I think you’ve got to, in any business you’ve got to evolve. I’ve never been one to be a sheep. We were doing HMOs a good few years ago, where there wasn’t that many in Oldham, you know, or not that many decent ones at least. And now because of the low property prices, you have people coming from all over the country who want to buy in Oldham. Amy: Yeah, because of the close proximity to Manchester, the Metrolink has arrived which has been a great addition to the town. I mean, Oldham Council, bless them, they’re spending millions and millions in the town centre but, unfortunately, still, it doesn’t encourage the locals to stay in there, they’re still migrating to Manchester and to Bury. However, people still want to live there. The HMO market is pretty saturated at the moment, to the extent that we’re not really going to do it anymore. Let the boat settle and see where we are. But yeah, we’re quite excited with the micro-flats with maybe a communal area. But what’s important within that kind of living is you’ve got to look at the demographic you’re aiming at. I’ve seen some great things on Facebook where people are doing it in London. I think there’s one down in Croydon. Looks absolutely fantastic and we’re going, ‘Wow, what’s amazing. But if you could bring that and put it in Oldham you think, ‘Hmmm. Amy: Is it going to work? Dale: People would rent it, it’s just how it would get treated. Dale: So. you’ve got that fine balance of high quality, affordable accommodation for the right price for the tenant and obviously the right price for the investor. Amy: Yeah, I agree. I totally agree with you but I do think, as you say, this is going to become more and more popular and I am glad you are exploring these types of strategies now so that you’ll be ahead of everyone else when they jump on the bandwagon in three or four years. Dale: No doubt we’ll be doing something else by the time that happens.